There is nothing better than a melt-in-your-mouth, Flaky Buttermilk Biscuits… topped with a smear of butter and a drizzle of honey. 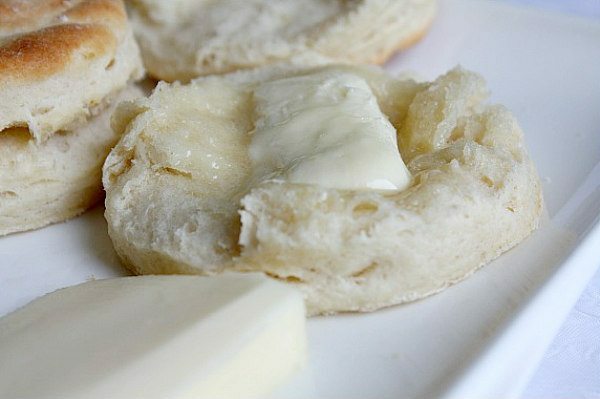 Here’s a step-by-step for you on how to make light and flaky buttermilk biscuits. 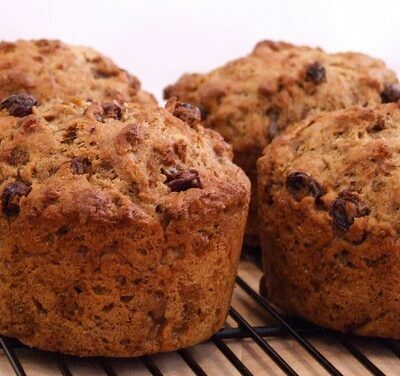 The biscuit dough can be made in the food processor or by hand. Butter is cut into the dry ingredients and then mixed with buttermilk. I’ve made flaky pastry many times by using the dough-folding method so I thought it might be a good idea to try this for the biscuits. The dough is rolled out and then folded into thirds like you’d fold paper to put into an envelope. Then it’s rolled out again and you repeat the folding. Roll it out one last time. 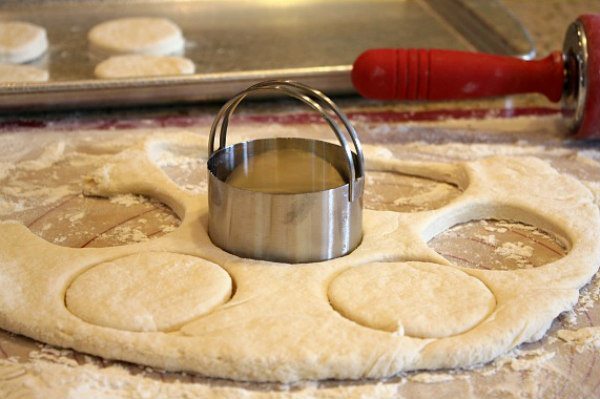 Punch out your biscuits with a biscuit cutter (or the bottom of a glass). 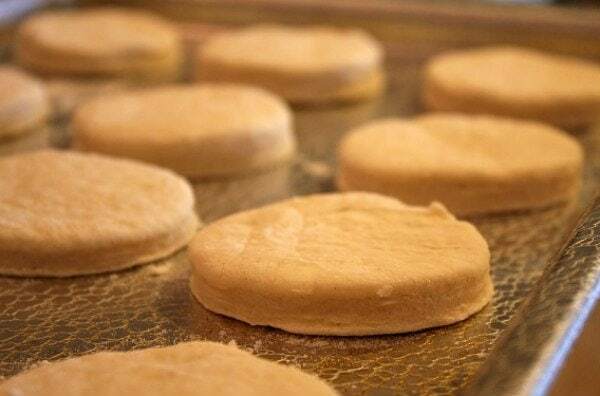 Place biscuits on a baking sheet, and bake them until they have risen nicely and are golden brown. 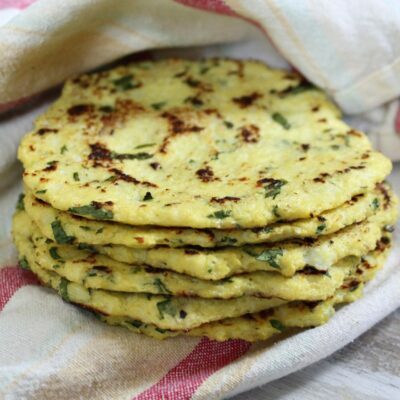 If you eat them right away, you can take advantage of the ease of melting butter and the soft, tender, flaky insides. 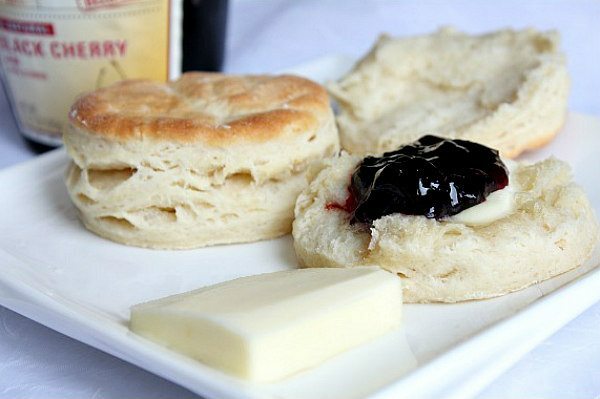 A little dollop of jam or a drizzle of honey completes these perfect little biscuits. And they turn out light and flaky, just as I was hoping. Preheat oven to 400 degrees F. Lightly spray baking pan with nonstick spray (or line with parchment paper). Mixing with the food processor: Place flour, sugar, baking powder, baking soda and salt in the bowl of a food processor. Pulse the dry mixture together a few times to blend. Add butter and continue to pulse until fine crumbs form. 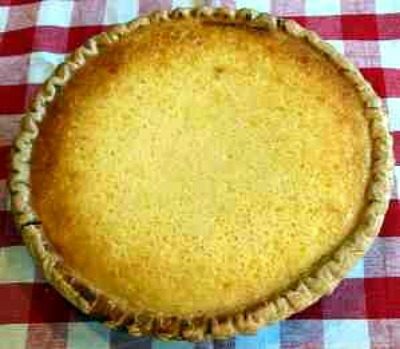 Scrape the mixture into a bowl and stir in buttermilk with a wooden spoon until the dough is mixed together and a little sticky. 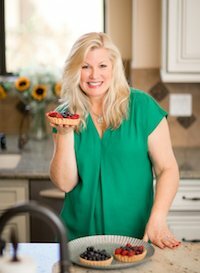 Mixing by hand: In a large bowl, whisk together dry ingredients. Add butter and use a pastry cutter (or use your fingers) to work the butter into the dry mixture and form fine crumbs. Stir in buttermilk with a wooden spoon until the dough is mixed together and a little sticky. 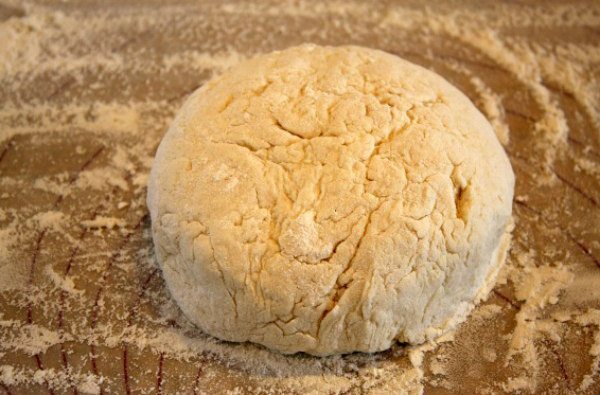 Turn dough out onto a floured surface; knead lightly and form into a small round. 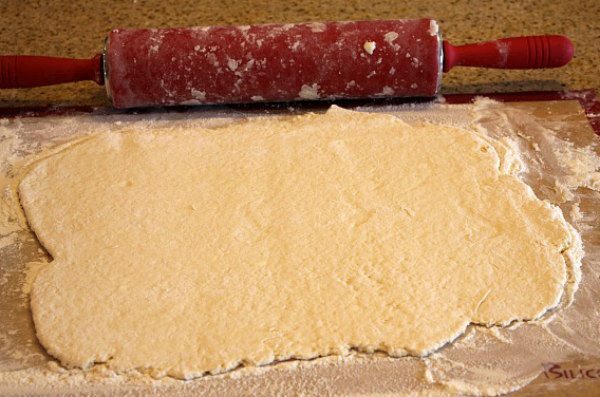 Roll dough into a 9x5-inch rectangle (1/2 inch thick); dust the top of the dough lightly with flour. Fold dough crosswise into thirds (as if you're folding a piece of paper to slide into an envelope). Re-roll dough into another 9x5-inch rectangle (1/2 inch thick). Fold into thirds again; roll into another rectangle. 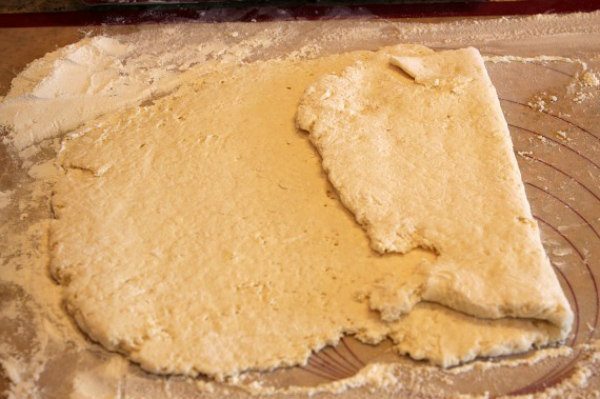 Cut dough with a 1 3/4-inch biscuit cutter to form 12 to 14 dough rounds. 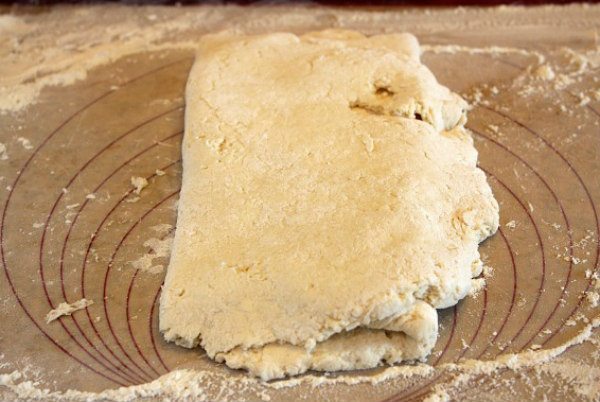 Gather scraps and gently pat the dough together again to cut more biscuits. Place dough rounds, 1 inch apart, on prepared baking sheet. 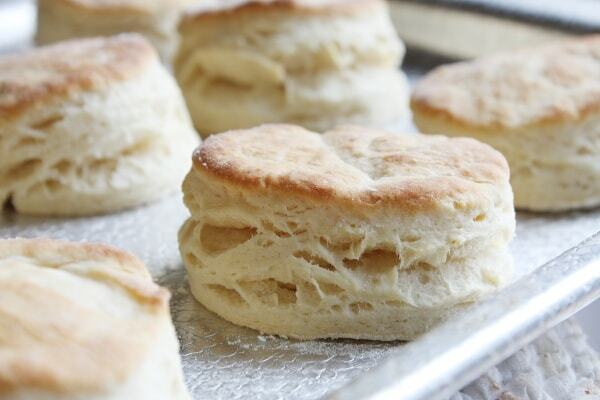 Bake 12 minutes, or until biscuits are golden. Remove from pan; cool 2 minutes on wire racks. Serve warm. If the dough seems too sticky, sprinkle a little more flour, as needed, and knead it into the dough. Just made these for the first time. I never seem to have buttermilk on hand, so I substituted 1/2 cup sour cream and 1/2 cup milk for it. The tang of the sour cream worked beautifully as a substitute. 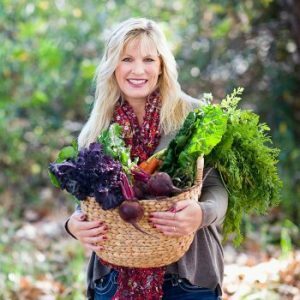 This will be my go to recipe. 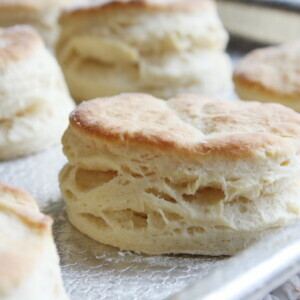 I’d like to try making them and freezing the dough for when I want fresh biscuits. 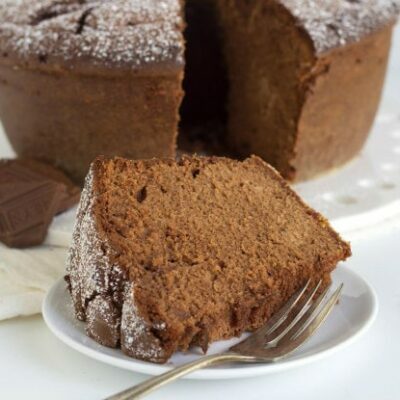 This recipe is very similar to the one I now use. Almost my whole life I have made biscuits by just patting the dough out then cutting them. After I tried a recipe of folding them and refolding them my biscuits are the best I have made. I will never go back to the old way. 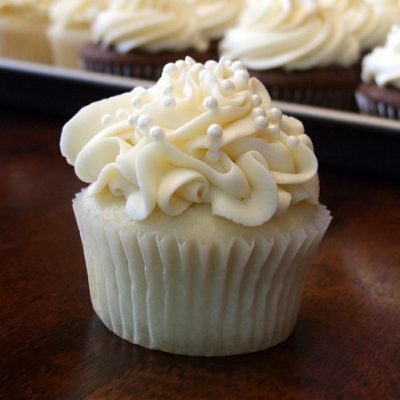 Buttermilk makes the best ones. I haven’t tried freezing these yet! @Alex, I had the same problem my first try and the reason why was I used 1 tbsp of vinegar plus 2% milk to make one cup. If you do this instead of using the buttermilk cut back the liquid to 3/4 cup and it will work perfectly. Buttermilk is just not a watery as milk. Biscuit are a hit a our house. I’m drooling! I can’t wait to try these and surprise my husband. He loves a good biscuit.